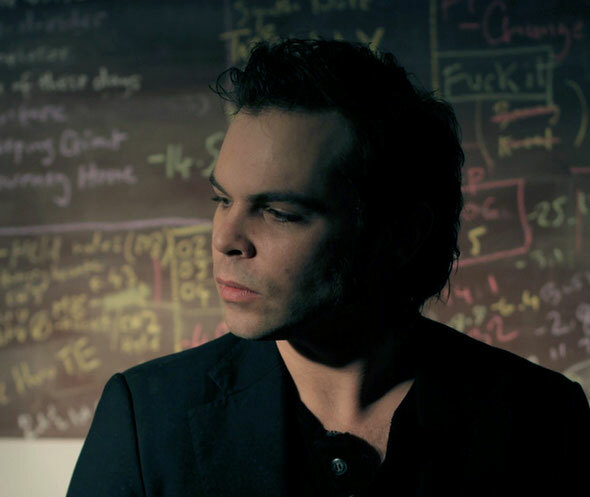 After six successful albums with Supergrass (including the #1 debut ‘I Should Coco’), Gaz Coombes will release his debut solo album ‘Gaz Coombes Presents… Here Come The Bombs’ on May 21st through Hot Fruit Recordings and EMI Label Services. Produced alongside Sam Williams, with whom Coombes first worked with on ‘I Should Coco’, ‘Here Come The Bombs’ represents a continuation of his day-to-day life in music. Recorded at Coombes’ home studio and at Williams’s Temple Studio, both in Oxford, the album explores the unexpected whilst maintaining the famous love of melody that marked some of Supergrass’ finest moments. Opening with the ethereally dreamy ‘Bombs’, the album reverberates with Coombes’ sonic experimentations: the exuberant ‘Break The Silence’ features pulsating grooves cut with distorted guitars, ‘Fanfare’ sees Coombes experimenting with rhythmic, near spoken vocals, while the closing track ‘Sleeping Giant’ finds his vocals drifting through a cinematic, sci-fi induced soundscape. ‘Here Come The Bombs’ will be introduced by lead single ‘Hot Fruit’ which will be released on May 14th. The track’s off-kilter time signature is a powerful statement of intent providing a suitably leftfield calling card for the album. 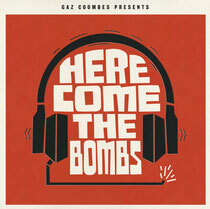 ‘Here Come The Bombs’ is released on his own Hot Fruit Recordings label, but in conjunction with EMI Label Services.